Majnu starring Akhil Akkineni and Nidhhi Agerwal has a pre release event on 19th at JRC Convention Center in Film Nagar, Hyderabad. 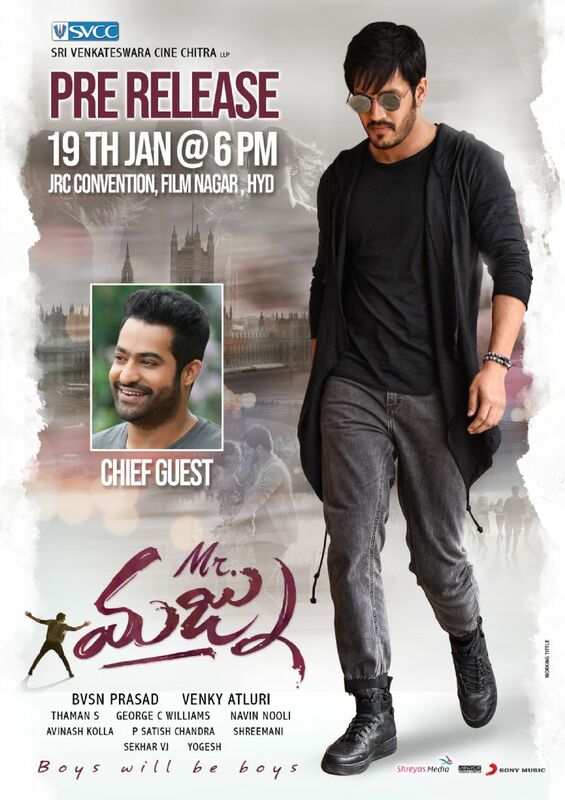 Junior NTR will be the Chief Guest for the event, the production team has announced with a poster. The movie is going to be relesed on January 25. Director: Venky Atluri, Music by: S. Thaman, Produced by: B. V. S. N. Prasad, Production company: Sri Venkateswara Cine Chitra and Written by: Venky Atluri.